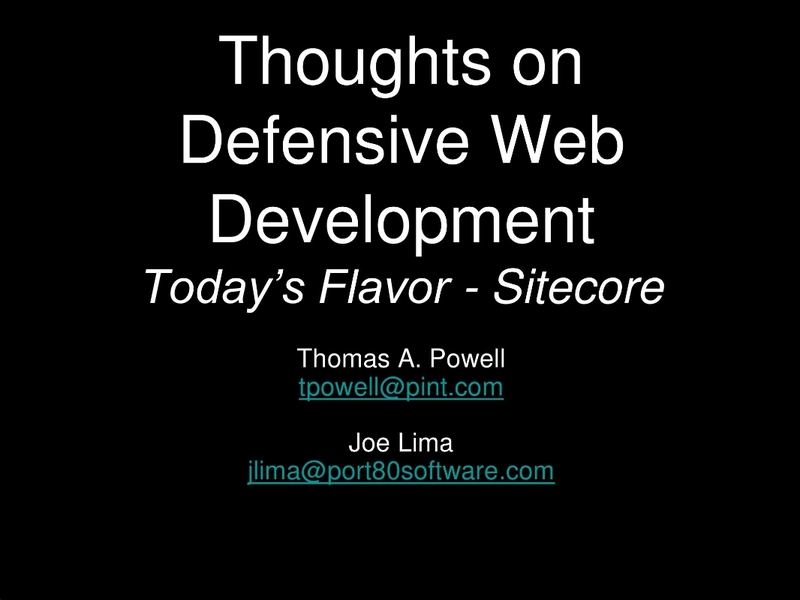 Recently, Port80’s Joe Lima and Thomas Powell presented a talk on Web Application Security for Sitecore. If you run Sitecore, you are a perfect candidate for ServerDefender VP! The presentation can be viewed on Slideshare below.